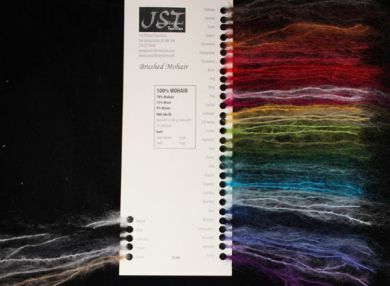 This sample card includes an 8" piece of each of our wide range of colours in Mohair. 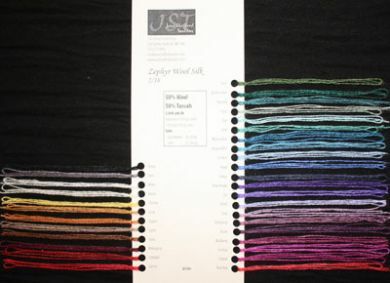 Having a sample card is a great way to see what the colours really look like as well as to get a sense of the texture of each yarn. 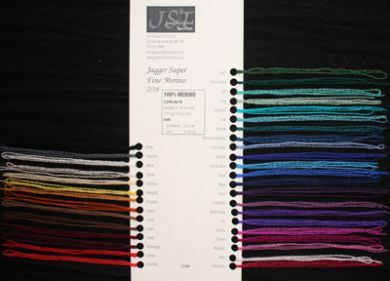 This sample card includes an 8″ piece of each colour of our beautiful Brushed Mohair. 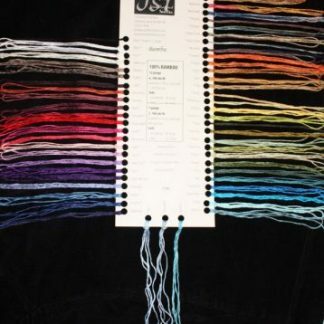 Having a sample card is a great way to see what the colours really look like, not to mentions the feel and weight of each yarn. JST is proud to still be making 99% our sample cards by hand. When you order a sample card from us, you can be sure that it’s the real deal.